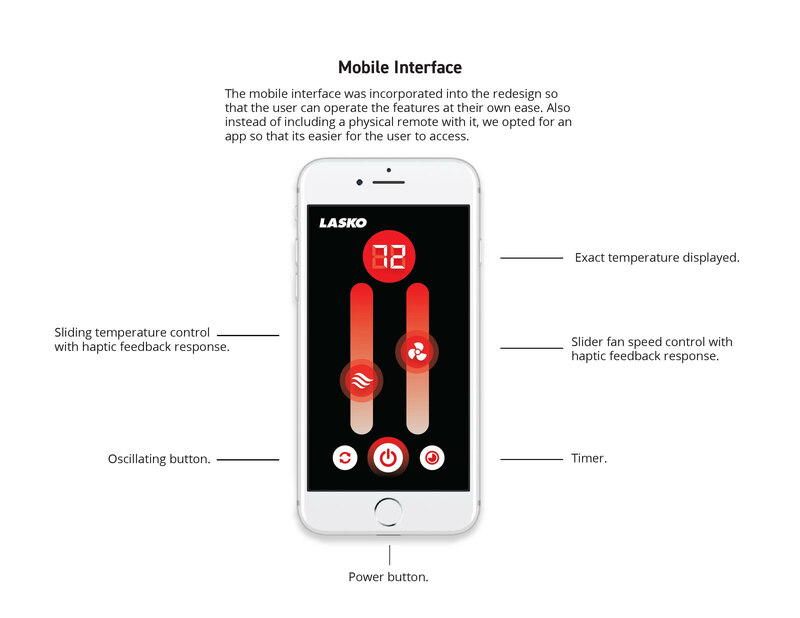 The goal of this project was to redesign the interface of a LASKO Space Heater. 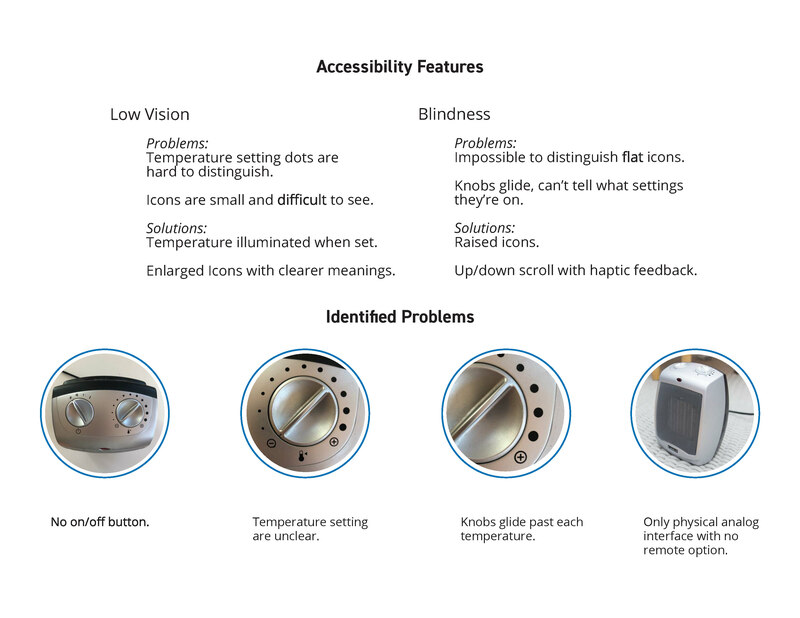 From our research, we found it was important to keep the tactile aspect of the knobs especially for those who are impaired even in the newly designed touch screen. 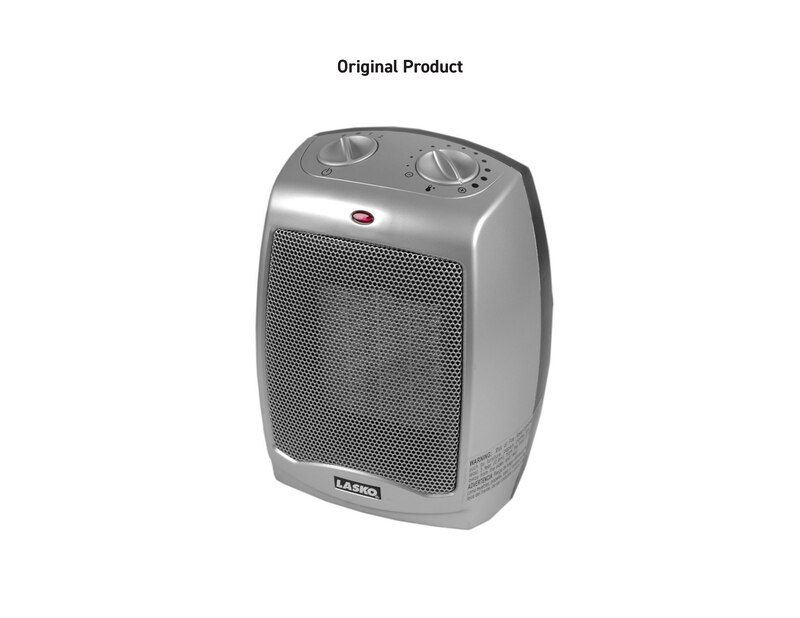 The original product lacked many features that were necessary in usability and functionality. In collaboration with Claudia Bocanegra, Annie Kozak, Maddie Steffen & Connor Goonan. One major problem was the lack of remote operation for the heater, so we created a one screen mobile interface to act as a remote. In the design, we strayed from LASKO’s blue and instead utilized a red-orange to simulate heat. 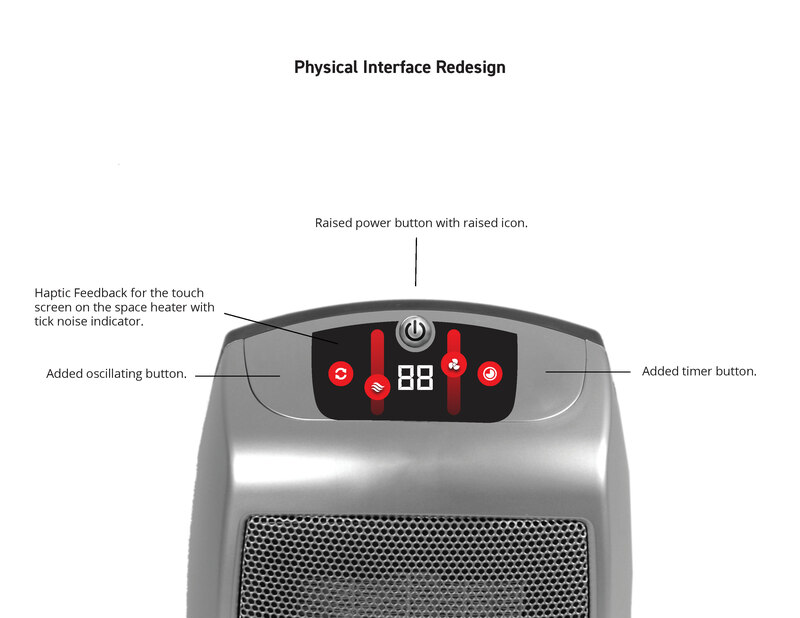 The power button, when activated, glows red-orange as a response and indicator of the heat generating. Another blaring issue, was the lack of a temperature display. Our studies showed, users prefer viewing exact degree of temperature on thermostats, therefore we displayed the temperature in an obvious manner. 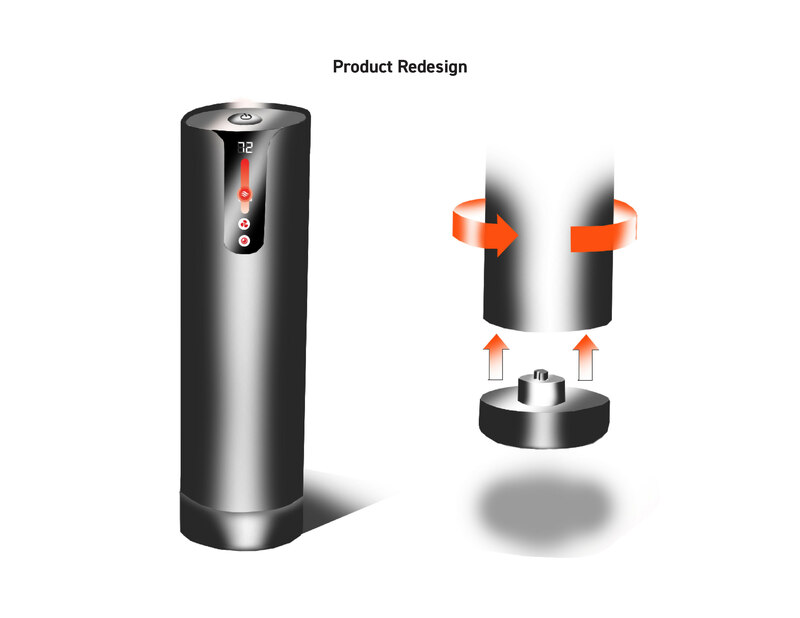 After brainstorming the product’s problems, we realized many of them stemmed from the actual product design itself. 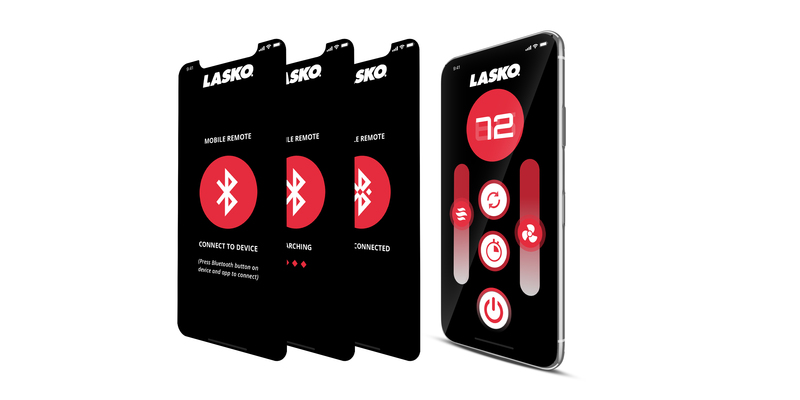 A new product was imagined, through digital sketching, that utilized an even more user-friendly interface and a windup charging plug for efficient use. Deliverables: Product Interface Redesign, Product Design & App Design.